What started as a digital diary to document a newfound journey as a stay at home mom / wife has quickly evolved into my own little corner on the internet where I share all that life brings my way -- the good, the bad, and those "aha!" moments. All with a hint of sarcasm, a dash of truth and bold European wit. Thanks for following along! The picture above was taken 7 years ago. although the pose is absolutely ridiculous, it was during a time when I was most confident with myself. Weighing in at around 115 to 120 pounds, I was 20 years old with not a care in the world except some looming 20 page college term paper. Life was different back then. Now looking at my body as it gears up to deliver a third baby, I am both amazed & ashamed. Amazed -- that for the third time, I have been blessed to have carried a child to full term. Amazed that even though my first pregnancy ended in a heart wrenching miscarriage, God’s grace allowed me to pull through the pain, hurt & worries and I have gotten to experience the fullness of all the pings, pangs and joys of motherhood. But then, as I continue to stare at my body, shame creeps in. I used to be skinny, I think to myself. I used to fit in a size 4. I used to not worry about weight and look where I’ve ended up. Here I am, heavier than I’ve ever could imagine. Yes, I’m 35 weeks pregnant & Yes, I’ve had three kids rather quickly with barely time to lose the baby weight, but that isn’t an excuse — you’ve let yourself go, Marta. Boy, does self-doubt get louder & louder the moment after you let it slowly creep in. It’s days like these where I look at photos. I look at myself, I look at my boys & then I look around. I hear the commentary of others, those “oh, you used to be so tiny” remarks from people I respect and I can see the judgment of those “nice” strangers who won't say anything — to my face. It’s hard, but I know that I am being taught something in this season. I took being skinny for granted and comparison is proving to be the thief of joy. I am fully aware of this. But, it's so easy to let that thief in.... I'm not writing this for pity, I am writing this because I sometimes struggle with body image and maybe there is someone out there that will read this and feel like they aren't alone. So, if you're a fellow mom wrangling thoughts of insecurity and struggling to look at yourself when you pass a mirror -- mama, I see you. I'm here to give you a virtual smile, nod and a bit of encouragement. You're not alone and I truly believe that one day... it. will. get. better. I know that I can and will get back to a size that will make me feel happy again. It may not be 120 pounds, but I've come to terms with that. I have two beautiful boys, I am about to welcome another wee little one to the world and couldn't be prouder of that. I am living with A & A and that's totally okay. I'm 35 weeks pregnant, so nesting during spring has been more than ideal. It's made the act of spring cleaning a breeze -- and by that, I mean that I nagged my poor husband to death until he finally agreed to help with the process. Bless his heart, he spent most of his spring break off from nursing school doing all the tedious tasks I could think of! I don't know how it happens, but every year during spring, I find myself having to declutter + rearrange furniture and closets. It's gotten so much worse as we've added more kids into the picture. Thankfully, we've nearly finished and I feel very satisfied with the fact that I've taken every inch of my home and disinfected it. While the spring cleaning indoors is done, I have quite a few things that I still have to do outside -- things like washing the windows, pulling weeds around the house, cleaning the gutters, etc. I am so pregnant and since my husband is in school again, we'll be tackling these tasks slowly on the weekends and in the spare time we can find in our hectic schedules. 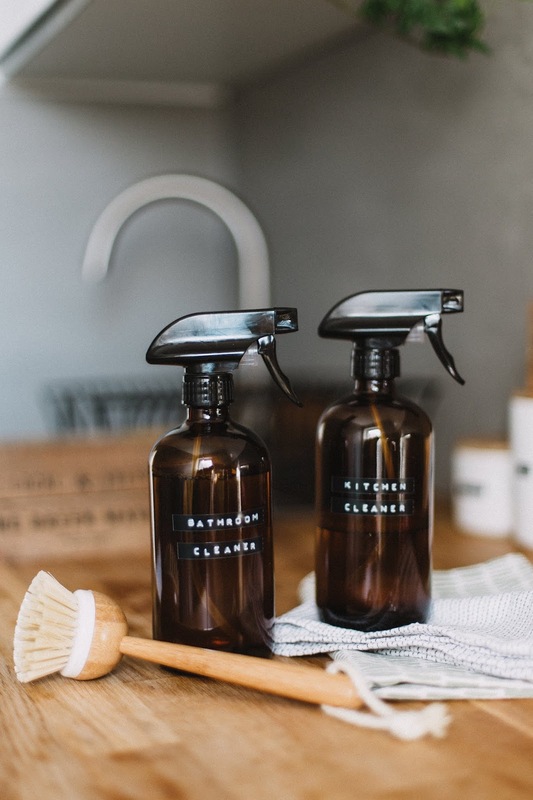 Here is a thorough list of things that we did to spruce and disinfect our home + some of the things we still need to do. Before we start I just want to issue a warning / mini disclaimer -- I grew up with a very Romanian mom & dad, both of whom were super particular when it came to cleaning, so if this list seems exaggerated, sorry not sorry. I do this regime at least twice a year and when we do it, it's intense. If my parents instilled one thing in me, it's that a clean organized house equates to a clean, organized life. I would always mumble and grumble during the boot camp type cleaning sessions when I was a kid, but now that I have my own home, nothing feels better than walking into a house that has been thoroughly scrubbed down from top to bottom. At the end of this novel of a post (hey now, it's a crash course, what did you expect? 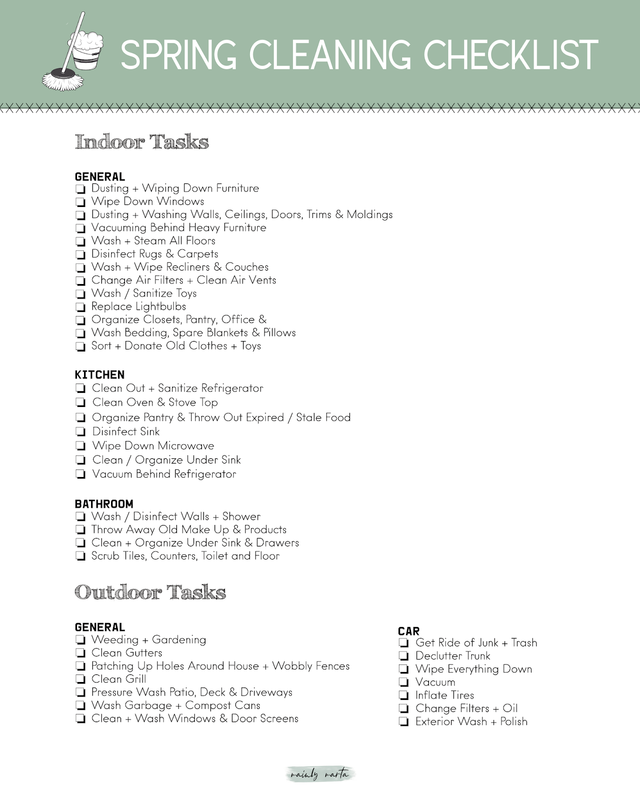 ), I've compiled all of these tasks on a sheet that you can print yourself and hang on your fridge just in case you want to tackle some spring cleaning on your own. Refer back to this post for more details, but hopefully, this mini checklist can get you in the spring cleaning spirit! So now, without further ado -- here are the tasks that I attempt to tackle during spring cleaning week! 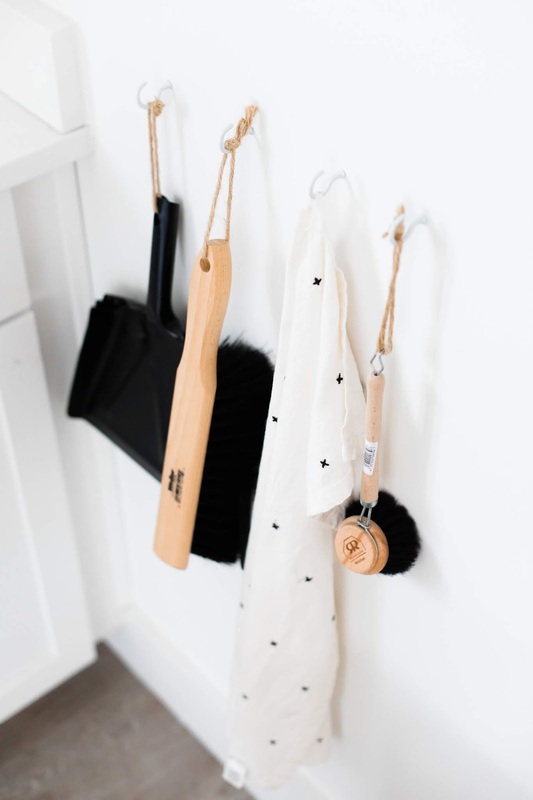 ❏ Dusting + Wiping Down Shelves / Furniture :: this is one of the things that we do every week at our house, but I really love adding it to the spring cleaning list as well because dust settles faster than you can blink. ❏ Dusting + Washing Walls, Ceilings & Moldings / Trims :: I feel like this should be done twice a year. Once in the late fall and then again in the spring. I dust all corners of the ceiling and near the light fixtures and then I wiped down the walls from top to bottom. ❏ Clean All Windows :: both inside and outside. ❏ Vacuuming Behind & Under Furniture :: dust accumulates everywhere especially behind heavy furniture. Spring cleaning week is the perfect time to move all the heavy stuff and vacuum + wash behind and under things that usually don't get moved throughout the year. ❏ Organizing Every Closet in the House :: this was a big project. My closets were all over the place as we didn't have many dressers. I took our storage closets and organized each shelf and grouped products like cleaning supplies together as well as kitchen supplies, soaps, handwashes, etc. I bought cubicles for our closets and used baskets to group socks, hats, and all other small items of clothing. ❏ Wash / Steam All Floors :: We recently bought a floor steamer to wash our floors and it's proving to be such a great tool -- especially during spring cleaning week! I love how clean all the floors look after using the steamer. ❏ Donating Clothes + Toys That We Don't Use :: this one is a chore that we have yet to finish because we haven't had the time to go through all our old clothes and toys, but I am slowly getting there. ❏ Get Rid of Expired Products :: this includes cans and stale food from our pantry and old makeup from my office / closet. I just threw them away if they were old, expired and used up since some products you can never fully use up before the expiration date. ❏ Disinfect Rugs :: I have shaggy rugs and don't have a carpet / rug cleaner, so I found a DIY recipe on Pinterest that was fairly quick and easy. All I had to do was sprinkle it on the rug and then vacuum it up in the morning before the boys woke up. ❏ Wash + Wipe Couches & Recliners :: If you have couches with material coverings, go ahead and pop them in the washer. If they are leather, it's time to wipe them down. ❏ Change Air Filters + Clean Air Vents :: We do this every three months, but when you're getting the house all spruced up, it's always nice to have the old ones removed so the dust accumulated in the filter isn't being taken through the house. ❏ Wash Plush Toys + Sanitize Plastic Toys :: this is just to get the germs off toys as boys will be boys and my youngest likes to take everything to his mouth. Plus, clean toys give this mama piece of mind. After you've cleaned them, it's time to organize and sort them. 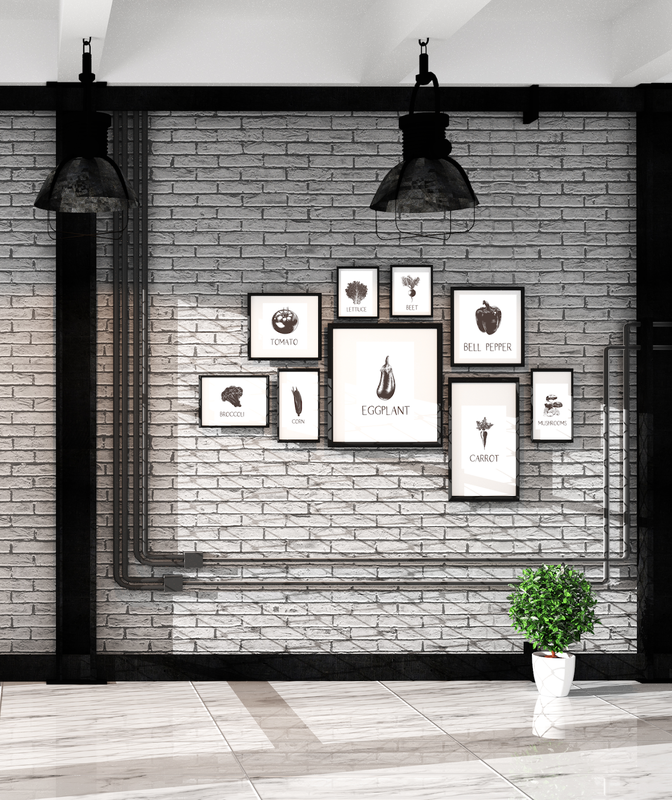 ❏ Replaced Light Bulbs :: it's the perfect time to go check the lightbulbs in the house and replace them with the energy saving ones because why not? ❏ Disinfect Sink :: I have an old white ceramic sink and if you don't disinfect that thing on a weekly basis, it gets gross, so I do this task quite often. However, for those of you who live in a newer home, I've heard that it's good to disinfect your sink -- wait for it... at least once a week, so let's get disinfecting. ❏ Wash All Bedding, Blankets & Pillows :: I love crawling into a fresh set of bedding. It's just so comforting, especially when the rest of your home is sparkling clean too. ❏ Clean Stove Top :: it's time for this gunky task. I'm not sure why, but I hate this task the most even though it's so simple. ❏ Deep Clean The Bathroom :: oh boy, this one is where you place the mask on and get working! I feel like this job is probably the most tedious because even though the space is small, there is so always so much to clean -- the sink, the drawers + cabinets, the shower, and tub, etc. ❏ Wipe Down Refrigerator, Freezer & Microwave :: This is a great way to refresh the most used spaces in the kitchen. It's also a great time to go through the food you have and see if there is anything that needs to be thrown out. ❏ Weeding + Gardening :: this is what spring is all about, am I right? 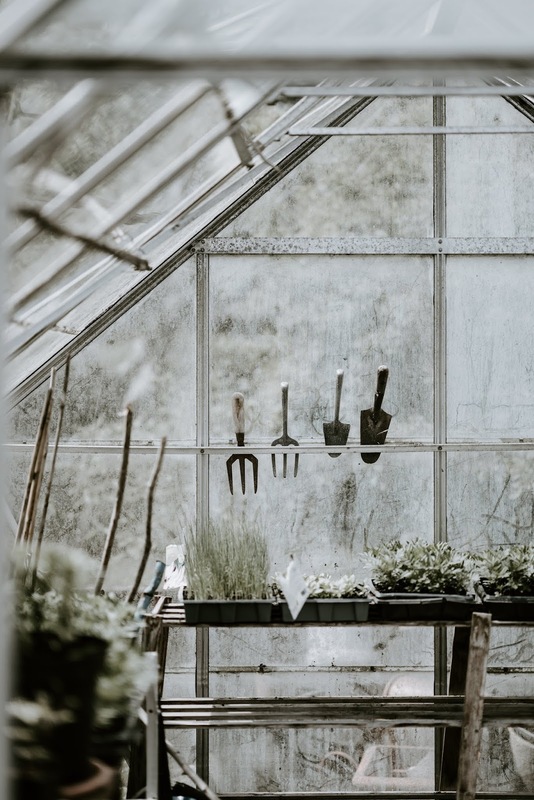 no time like the present to plant some flowers or spruce up your garden by planting some fresh produce that you can reap in the coming months. Getting rid of pesky weeds is also ideal for this time of year as the soil is moist from some rainy days. ❏ Clean Gutters :: fall and winter months are known to be gusty which means there are probably some leaves, twigs and other types of gunk stuck in your gutters -- now is time to clean those babies out. ❏ Patching Up Holes Around The House + Wobbly Fences :: keeping pesky rodents, animals and bugs out of your home and garden is something that everyone wants and the first step to making that happen is making sure you have no open holes or gaps for them to enter through. ❏ Pressure Wash Driveway, Patio, Etc :: mildew, moss, a bunch of unwanted dust and dirt have accumulated in the past months and now is the perfect time to get the job done. ❏ Clean Grill :: Every spring, we clean out the gunk on the grill and then pressure wash it after scrubbing the grill plates. ❏ Clean Window + Door Screens :: this will get rid of gunk, dirt and unwanted dead bugs that have landed and gotten stuck on your windows + screens. ❏ Wash Garbage & Compost / Yard Debris Cans :: this one is a task that I've always hated because it's gross, but after I finish, I am always relieved. ❏ Get Rid Of Junk + Trash :: all those gum wrappers, empty water bottles, etc. 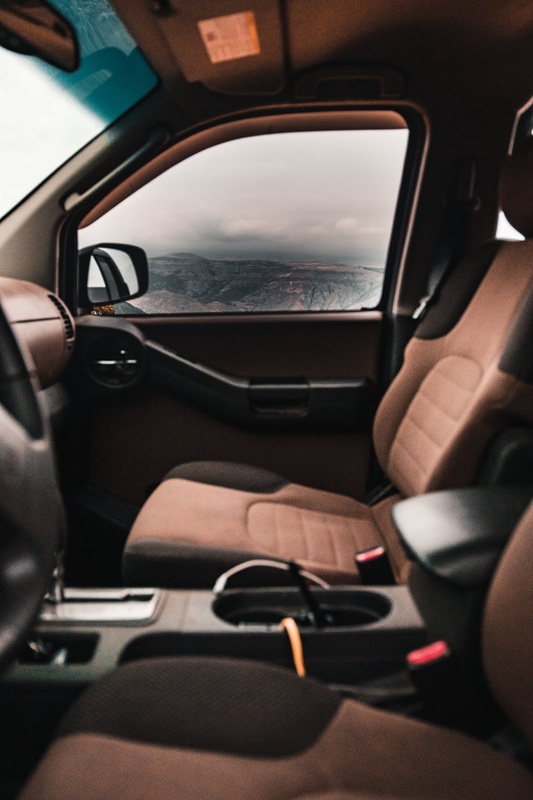 ❏ Wipe Everything Down :: steering wheel, leather seats, the dashboard, all the things! I have two little ones and there are milk splatters, footprints and all kinds of hand smudges on my seats and windows. ❏ Vacuum, Vacuum, Vacuum :: getting rid of all the dust and crumbs that have accumulated over the past few months makes me one happy lady. ❏ Change Air Filter & Oil :: and any other car tune up (alignment, change tires + timing belt, check brakes, etc) that you can think of should be done because you don't want any surprises later on in the year. ❏ Wash Exterior :: take your vehicle to a car wash or start scrubbing! nothing says put together more than a fresh, clean car. Why Is Spring Cleaning So Important? So, besides feeling accomplished and renewed because your home looks and feels amazing -- it's a great way to make sure your home is still living up to its full potential. It's a nice way to keep your home neat and tidy + seeing if anything needs to be fixed around the house. Keeping your home up to par each season is also ideal just in case you ever decide that you want to move. When it's time to move, you can rest assured that all past spring cleaning sessions have helped keep your home in the best shape possible and your home is now ready to be listed on the market. Did you know that spring is the number one season that people start to think about listing their home and moving? If moving crosses your mind and you live in the Portland Metro area, Opendoor is a great option + service that offers sellers an all cash, competitive offer on an eligible home in 24 hours -- no listing, no showings, no leaving for open houses! If you're looking to buy a home, Opendoor has options for you too! They allow prospective buyers a home to access each home listed, 7 days a week from 6 am to 9 pm without having to make an appointment and waiting for someone to walk through the house -- you can do this by using their app as the key to the home and take a self-guided tour. It's a super convenient option for buyers who wrangle busy schedules. Such a great resource + tool for people contemplating a move -- go check it out! I'm going to just jump into this post because why not? I started a blog about 2 years ago and I've loved every second of it. Like all projects, blogging is an acquired taste / talent and by that I mean you have to like words and writing -- unless you're wanting to get into the other realms of making content, buuuut I'll tackle different forms of content creation in another post because the influencing platform has a niche for everyone. Today is all about blogging and why you should start one, so let's begin. Great first reason, huh. I mean, everyone loves a challenge, right? When I first started blogging, all I knew was that I wanted a way to pass the time as I was stuck inside during the winter with a fresh newborn. I already loved to write, so the passion was there, but I had to figure out how to start, what to write about first, what platform to use, etc. It was kind of overwhelming and feeling like I didn't know where to start almost kept me away from the blogging world, but with the encouragement from my husband, I started to research. Once I figured out the basics, it kind of just took off from there. * a post on blogging platforms + how to start a blog is coming soon, so stay tuned! I really love this reason -- it's probably my favorite. 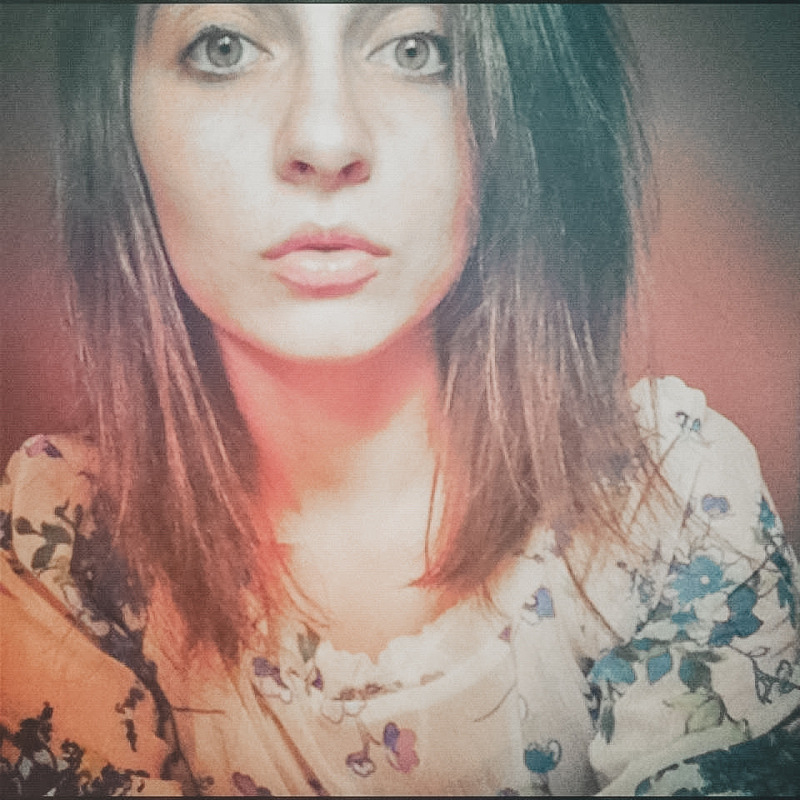 In person, I am rather quiet and don't talk much. I tend to be a listener / observer. So, when I started blogging, I had to find what I wanted to say. For those of you who know me better than others, you know that I have opinions on everything! But, I don't like vocalizing them with just anyone for the sake of avoiding confrontation + debate. So, blogging really pushed me to be honest with myself and find my voice. I opted to identify as a motherhood + lifestyle blogger which meant that I had a space to talk about the pings and pangs of motherhood as well as the glorious victories. In reviews, I was able to say that I wasn't crazy about a product even though the brand gave it to me for free, I was able to just be vocal and it was my space. I have the freedom to tell it like it is and it's not "pushing" my views on anyone because this is my blog. This goes hand in hand with reasons one and two, but it's worth mentioning on its own too. 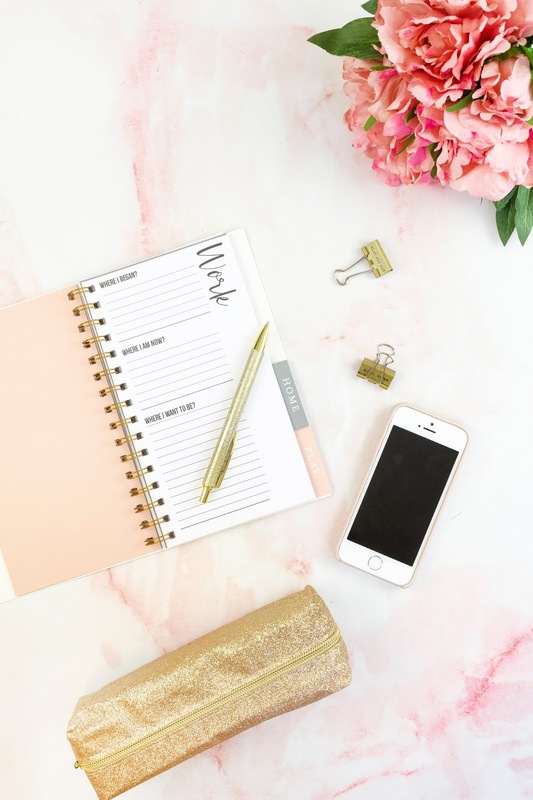 Besides the plethora of knowledge you gain from setting up a blog, connecting with other bloggers and starting to build your brand, you also grow your skills in communication, content creation, public relations, and technology. You'll have days when your blog is down or when you're flooded with emails and you're going have to just work through the day patiently and as a result, when all is right with the world again, you'll realize that you learned a ton from troubleshooting. I am always so surprised at how much blogging has helped me with my problem solving skills and allowed me to grow in my knowledge surrounding technology. I love talking to and working with people, so adjusting to stay at home mom put a damper on my adult interaction. 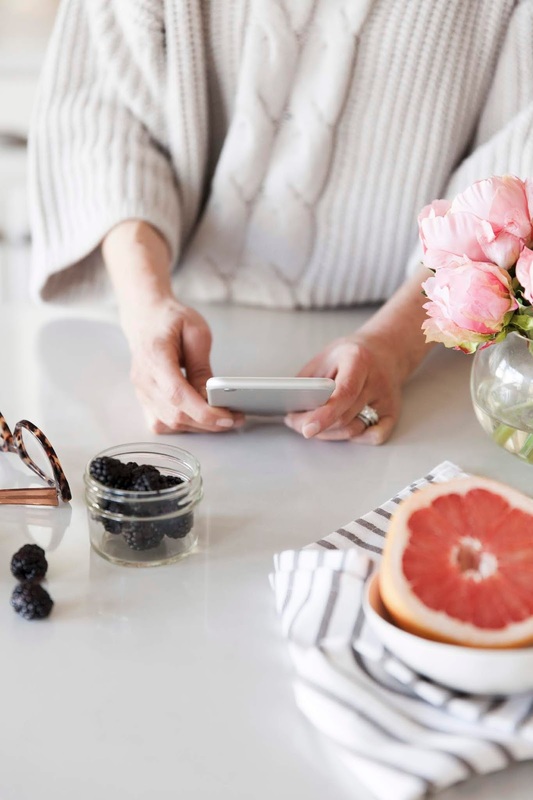 Blogging allowed me to connect with fellow mom bloggers and working with brands brought a sense of professionalism to mom life that was a breath of fresh air. I cannot say that you won't run into people who will rub you the wrong way in this community and when working with brands because you will. There will be people who won't want to share information with you, give off a competitive vibe and there will be brands that will rip you off, not respond to emails and rudely decline to work with you -- it happens. Not everyone in this field is supportive and wants you to succeed, but that is totally okay. Working with people in any field can be a hit or miss. With that being said, I've met some amazing brands and bloggers in this process and the supportive community that is out there is totally worth investing in. It make take a while to find your people, but once you do, it's so fun! I love that I can blog and work when I want to / can make time. I have two little boys at home and I am expecting baby number three which means time isn't always on my side. I love that blogging gives me the opportunity to work when I can. When talking to brands, I always set up timelines that are doable for me and my schedule. I also love that I can reject certain collaborations and requests from brands without feeling obligated to explain why I am rejecting them. I am my own boss and I can invest more time in projects that I believe in rather than projects I don't feel comfortable with. I also love love loooooove being able to work from home in my office. It's so nice to be able to work in your pajamas with no makeup on and a cup of coffee nearby without getting judged by anyone. So, Have I Convinced You To Start One Yet? In closing, I do want to say that blogging also brings a plethora of opportunities that you'll never see coming. After I started blogging, it gave me the courage to start new projects that had been on my mind for years and provided the determination I needed to succeed. I am now able to make a small income from blogging after two years of putting in a lot of work and producing consistent content. I didn't want to make this a reason because I plan to write an entire blog post dedicated to the opportunities that blogging can bring about, but just know that even when it seems overwhelming, sticking to producing quality content and figuring out how to navigate the blogging world is so worth it in the end. Today I thought I'd share my favorite way to get rid of ripe bananas that doesn't consist of me throwing them away. 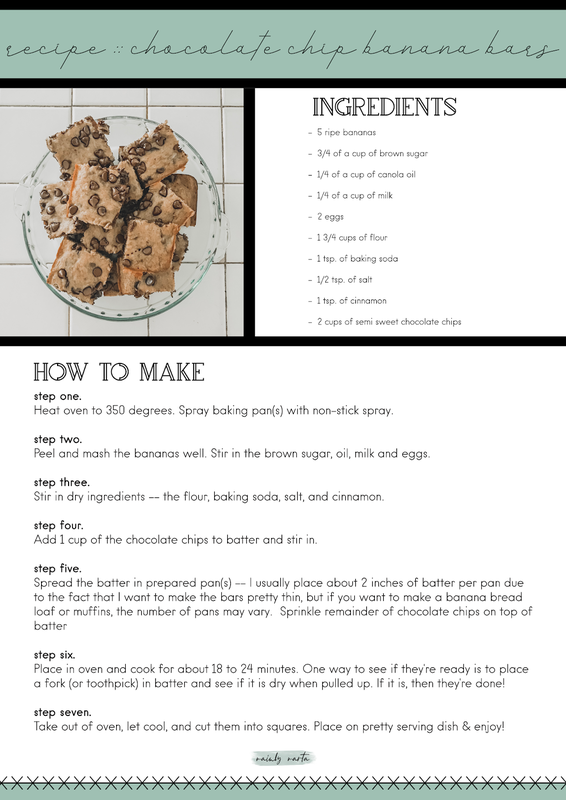 Since wasting food is something I try to avoid, I use my ripened bananas to make these yummy chocolate chip banana bars. They're the perfect bite sized bar that will knock out any sweet tooth craving in just minutes! These are great for breakfast with some coffee, a cold glass of milk or maybe you need a little mid day pick me up? No matter when or what you pair it with, they're simply delicious! What I love about this recipe is that even if you're not a fan of chocolate, you can totally omit that ingredient and use something else -- you can get creative and still make something totally delicious using other fun ingredients. I'll share some of my other favorite chocolate replacements later on in the post, but for now, let's get baking! Heat oven to 350 degrees. Spray baking pan(s) with non-stick spray. Peel and mash the bananas well and by well, I mean really mash these babies! After you've made the banana mesh creamy and smooth, go ahead and stir in the brown sugar, oil, milk and eggs. Stir in dry ingredients -- the flour, baking soda, salt, and cinnamon. Add 1 cup of the chocolate chips to batter and stir in -- skip this step if you hate chocolate and scroll down to see what you can use to substitute the chips if you're still wanting a bit of flavor / kick to your bars! Spread the batter in prepared pan(s) -- I usually place about 2 inches of batter per pan due to the fact that I want to make the bars pretty thin, but if you want to make a banana bread loaf or muffins instead of bars, you totally can! Just remember that the number of pans may vary. After you are done spreading the batter evenly onto the pan, it's time to sprinkle remainder of chocolate chips on top of batter. Place pan in oven and cook for about 18 to 24 minutes. One way to see if they're ready is to place a fork (or toothpick) in batter and see if it is dry when pulled up -- if it is, then yaaaaaay, they're done! Take out of oven, let cool, and cut them into squares. Place on pretty serving dish & enjoy! If you're not crazy about chocolate -- that's okay, here are a few other things you can place in or on top of the batter to give it a little kick. Blueberries -- tip:: cover them with flour first before sprinkling on top, so they won't sink to the bottm of pan when baking in the oven. PB Protein Powder -- I'd add about 1 tsp. of powder when mixing in the dry ingredients for a hint of peanut butter flavor. & any other substitute you can think of -- if you're daring. 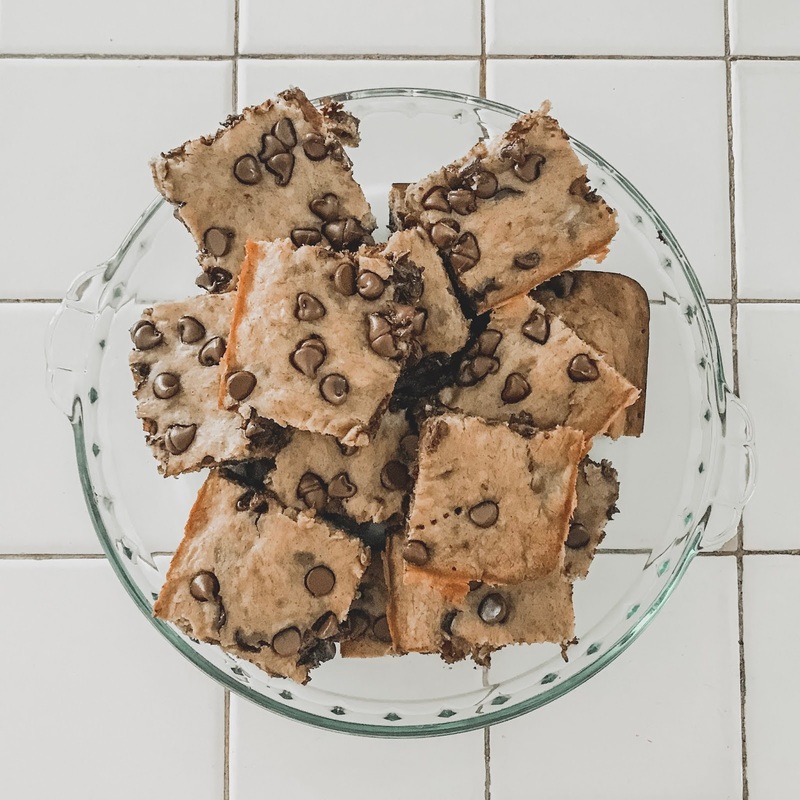 ORRRRRRRRRRR... you could just leave the chocolate chips out all together and move along with the recipe without a substitute if you're feeling like you want to be healthier and avoid a few extra calories -- It'll taste as just delicious, I promise! If you've kept up with my instagram lately, you know that I've made a few pledges to start off the new year -- one of which is to start eating healthier this year. That means I am on the look out for substitutes and meal alternatives that don't make me feel super guilty afterwards. In essence, I want to eat well and I want to eat yummy foods while I lose the baby weight. & yes, I am currently pregnant -- but good habits start early, am I right? I'm not trying to lose the baby weight until baby is officially out of my belly, but I feel like there is no harm in starting to eat healthier now especially since baby currently loves raw fruits and veggies. So, with that, lets talk goals.. I'm taking a different approach to "clean" eating as I am not sticking to one plan, but rather taking inspiration from Keto, Paleo, Whole30, etc. I plan to limit carbohydrates, but not expel them completely. So if after an amazing week of clean eating, I decide to make some pasta, that's okay -- as long as I utilize portion control and don't over eat. I've never been one to ban a whole food group for the sake of weight loss and I don't plan on starting now. I also plan to start working out, but because I am currently pregnant my goal is to do at least 30 minutes on the stationary bike I have at home or walk a bit more than I usually would. As soon as I give birth, I'll probably up the time and then eventually head on on over to the gym for a more intensive workout. Another goal of mine is to conquer the need to drink more (or enough) water something that I am terrible at. I made it a goal to drink more water last year and did a pretty good job until I got pregnant. I just didn't want to run to the restroom every five seconds, but now that I am towards the end of my pregnancy, I tend to be doing that anyway, so I might as well be super hydrated while I'm at it. The goal is drink half your body weight in water, so I'm hoping that as soon as I can pop this baby out I can figure out what that number is. I am wanting to utilize a skincare routine at some point this year too, I just need to figure out the products that I love and use them more frequently -- a blog post in the future will talk about said routine once I've sorted the cycle out. Last but not least, the biggest goal regarding my spiritual health is to read the Bible -- cover to cover. I've always been a read a book in the Bible and really study it, but I've never sat down and read the whole thing which makes me feel ashamed. It's January 30th as I write this and I'm happy to say that I've kept this resolution for the last 30 days and it feels great to open up the Word of God each day and dwell on His goodness. It's made the days that much sweeter. So with those goals in mind, let's make this new year a great one! But before I close off this post, I just wanted to say thank you to all my readers and give you guys some freebies. Because this a "cultivating healthy habits" post, what better freebies than prints of veggies?! These prints are for your personal use only -- so please feel free to print them & use them, but remember that they are not for redistribution. So go ahead and click on the image below to go grab these cute little veggie prints! Hi Friends! Happy New Year -- I hope your holiday season was filled with a lot of joy. Now that we've entered 2019, it's back to routines and tackling some resolutions. Since Felix and Marcus are still young and can't vocalize new year resolution, I've decided to make some for them some of which include cleaning up toys after play time, more educational play and being better at eating. I mean, if we could tackle just one of those it would be better eating. If you don't already know, my Felix is suuuuuuuch a picky eater and that means that I have to go above and beyond when it comes to making sure he's getting all the nutrients he needs. He has lower iron levels due to his pickiness, so I really am trying to make eating more fun and I've turned to Nuby for help with that. 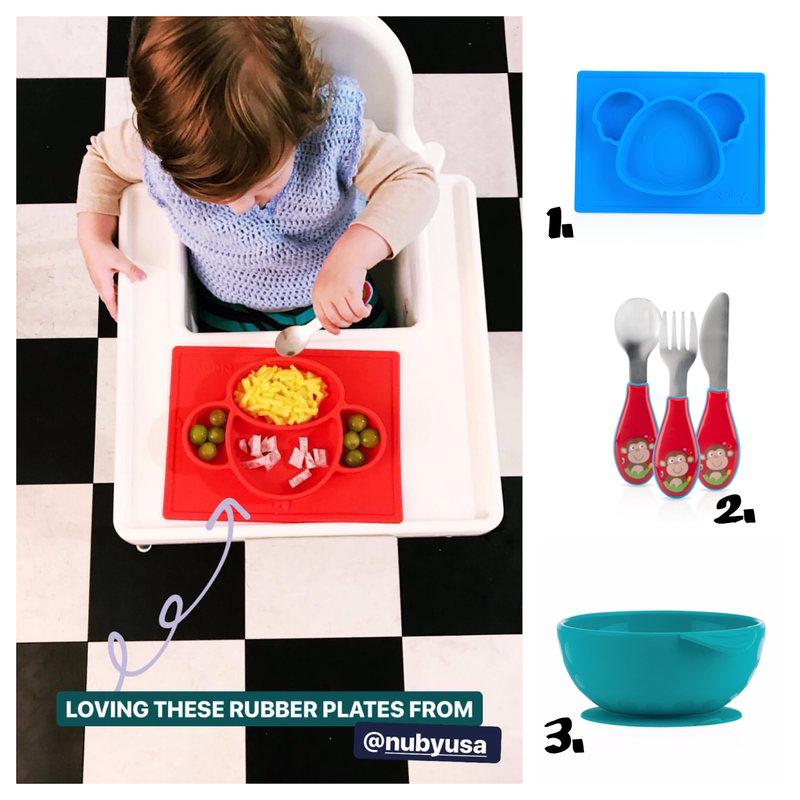 Here are some of Nuby's products that have assisted in my never ending battle to make meal time more enjoyable and appetizing for my picky little eater. This plate is nice because it sticks to his Ikea highchair and makes flinging his plate across the room more difficult. Felix is using the Red Monkey plate in the picture, but we also have this exact plate in a koala version too (also pictured above) -- because options. You can never have to many of those, am I right? I let him choose the plate animal / color before I set the table because I want Felix to feel like he has a say. Whenever he has choices, he's more likely to cooperate when it comes to giving the food a try. I also really love this plate because it makes separating his food so much easier. If he sees that his food is touching, Felix has an instant melt down. He just likes to have everything in its place and who can argue with that?! This was the set that Felix responded to when it came to starting using utensils. My picky eater never responded to being fed well. He'd scream and turn away, but as soon as he got his tiny little fingers on this set and I let him do it by himself, it was instant fun. I've come to the realization that some kids just want to be independent earlier than others and that's okay. Even though Felix is picky, he's more willing to try things if I pretend that I am not watching or care in the slightest bit. I guess it's too much pressure having mom and dad stare you down as you're trying to eat a meal, so at least I can be assured he has the tools (like this cute little utensil set) as he wings it by himself. Another suction product because I wasn't kidding about needing things to stick to that high chair. I place soup broth in this bowl, but more than anything else, this is a snack bowl. He loves those pretzels found in Chex Mix and this is the perfect container size to serve those to him because it's made for tiny portions. When I do serve him soup in this, I love that the bowl isn't sliding all over the high chair tray. I feel like toddlers have no perception about surroundings and my toddler is no different -- somehow he's always elbowing his bowls and cups, so this suction bowl is and awesome tool. With these tools in the kitchen, I feel more equipped when it comes to getting my picky toddler to eat. I've found that having the right tools makes me less jumpy and eases my OCD levels when it comes to having him making a mess. I tend to be super uptight in the feeding process, so if I've learned anything, it's that it's okay to relax. I am okay with Mac and Cheese ending up on the floor and with the fact that two bites is better than no bites. There are days when Felix will try everything I give him and others when he won't even take a bite of his favorite meals and that is okay. I've come to terms with the fact that I am going to win some battles and lose even more battles, but the main thing to remember is to not give up. I've lucked out that Marcus is not so picky when it comes to eating, but even if he was, I would still be hopeful. I keep thinking that one day Felix will wake up and LOVE the food I give him and the pickiness will some day cease, but until that day, I'll be over here using my Nuby products to help ease the process. 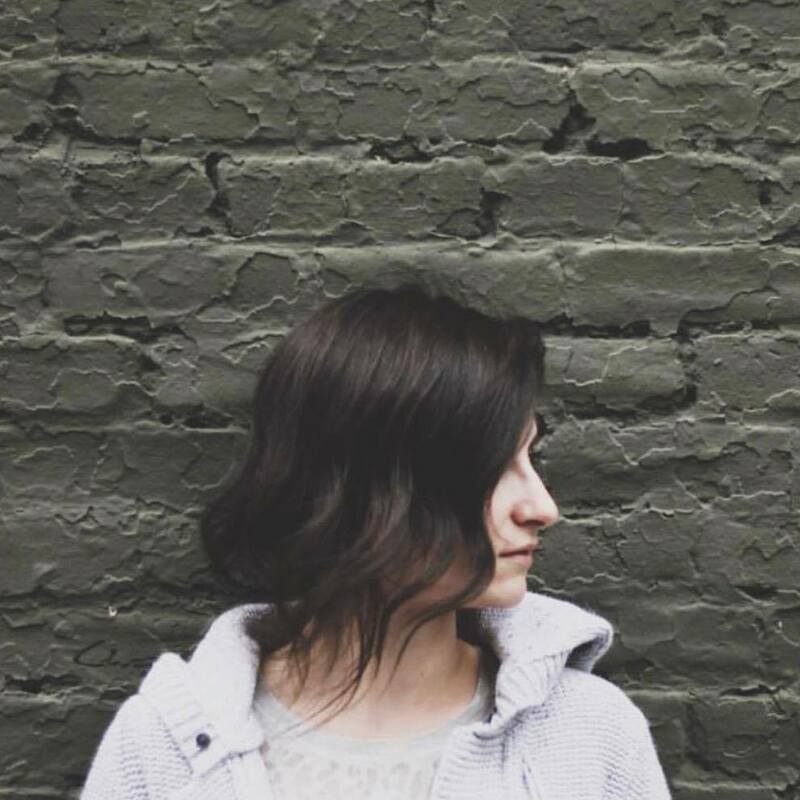 Hi, I'm Marta — a stay at home / working mama that's living simply in the Pacific Northwest. I’m happily married to my best friend and together we have two sweet little boys: Felix and Marcus. I hope to sprinkle a little bit of my personality while I weave together a blog that encompasses a multitude of things: motherhood, family, beauty + fashion, faith & everything else that life brings my way. © Mainly Marta :: A Motherhood + Lifestyle Blog • Theme by Maira G.